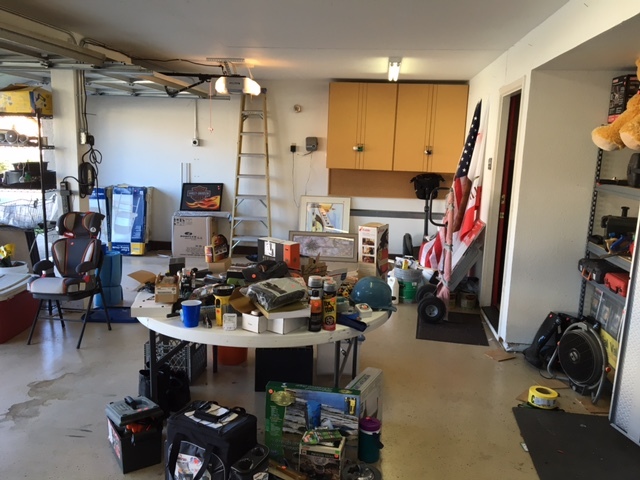 Estate sale – Live MoHo! Everything goes. If we are gonna cut ties, we have to cut ties. And that means all the stuff we have accumulated over a lifetime. It sure won’t fit in the RV. We can’t store it all. We can’t give it all away. So what better way to empty out a house than paying a bunch of people to show up and cart it off? A bunch of people paying US when they show up and cart it off!! When someone liquidates an entire household, it is usually by way of an estate sale. After all, people just up an deciding to live MoHo are not that common. 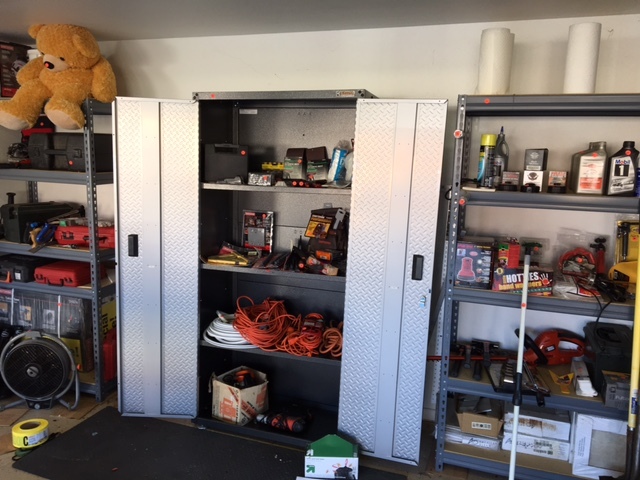 More often an estate sale is the unhappy thing that happens when someone’s relative – often elderly – passes away and their house needs to be emptied of all of its newly orphaned possessions. So estate sale techniques are applied. Basically everything is for sale and the goal is to exchange all of the possessions for money and an empty house. I have to admit the idea of hiring an estate sale company to just make it all go away, leaving me with an empty house and a check of the proceeds, was appealing. Unfortunately, the more I learned about the estate sale industry, the more I realized that Heather and I would be our own best estate sale company. Estate sale companies have a minimum charge to come out and perform their services. That can often consume a significant part (as much as half to two-thirds) of what you’ll get. Its expensive to use their services, and the good companies cost more. Estate sale companies don’t want to come if unless you have quite a lot of valuables like tools, jewlerly, pianos, or cookware. A modest household will have trouble meeting the threshold. We weren’t sure where our household sat, but we had a feeling it was on the modest end of the scale. Leaving the home “broom clean” after the sale is even more of the cost. AKA, you will end up doing your own cleanup anyway. Basically, it sounded to us that by the time we were done, the estate sale company would get most of the proceeds from our house. 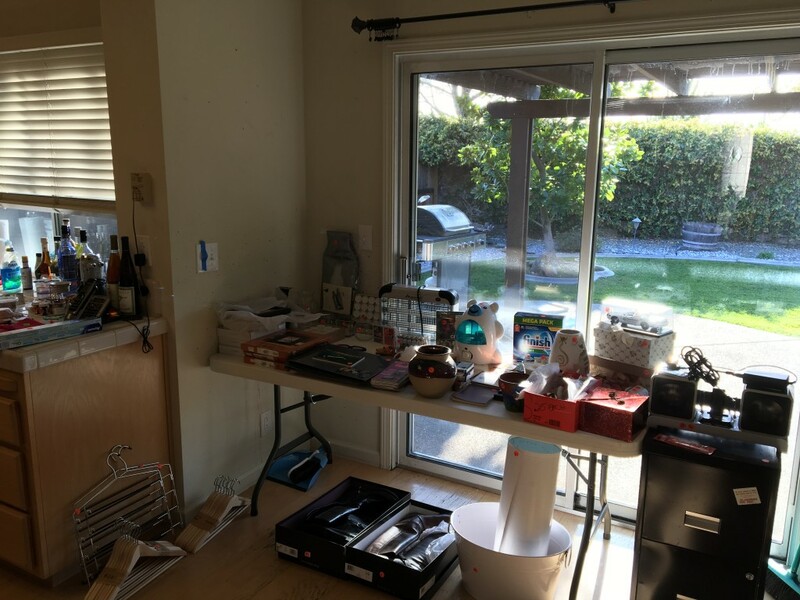 We’ve also heard that some less reputable estate sale companies actually overprice stuff so that they don’t sell it and it ends up being given to them after the sale is over and the owner just wants the stuff gone. They then take it to the next sale with a lower price and pocket the profit! Some people have said they went to their own estate sale and saw lots of stuff that was not theirs being sold! So we were determined to try this for ourselves. It was a ton of work. Everything. And I mean everything, needed to be sorted out, organized, displayed, and have a price sticker attached. We bought little round orange stickers from Staples and used those. 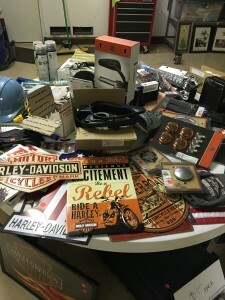 Advice #1 – your stuff isn’t worth anything. Think about what YOU would pay for an item at someone else’s estate sale and NOT what you paid for the item new. Price accordingly. This is really hard. But you have to do it. You can’t charge new prices. If people wanted to pay new prices, they would go to Costco. Advice #2 – your goal is to end up with an empty house so you can live MoHo. Price everything so that it will sell! Set the price too high and you’ll be left with a lot of stuff that you will just have to donate or lower the price and try again. Neither of which you want. You want the mass hordes to sweep through your piles of stuff leaving nothing behind but dust bunnies. Advice #3 – The first hour of your sale will be the busiest. In fact, the first 30 minutes will be total chaos. Have one way into your house (say, the front door), and station the cashier/checkout person there. You don’t want people walking away out other doors (like an open garage door) without paying. Have another person in the garage. Have a third in the main room if its not by the door. You don’t want people stuffing their pockets or altering price stickers. Advice #4 – post a sign that says no discounts on the first day of the sale, or no discounts the first half of the sale. This will save you from endless haggling. Yes, people will offer crazy low-ball prices on everything and its easier to simply refer to the policy. Remember, people who go to estate sales are looking for massive bargains. And they aren’t afraid to do a little haggling to get them. If you have priced right (see Advice #1) you won’t need to discount. Advice #5 – presell to your friends and neighbors. If you are offering the kind of good deals you SHOULD be offering, why not let your friends and neighbors benefit? Just be prepared for this to take up a lot of the time you spend preparing, so don’t wait until the day you are setting up for the sale. In the end, it took days to prepare, with the two of us working 16 hours straight on Friday. We scheduled the sale for Saturday and Sunday, starting at 10:00am on Saturday. People were lined up at the front door, and we opened at 9:50am. By 11:00am, 75% of our stuff (no kidding) was gone. The first hour was busier than the checkout lines at Costco. Fortunately a couple of good friends came by (thanks Sean and Julio) and ended up helping. If those guys hadn’t come, we couldn’t have handled the volume by ourselves. Or we would have been really hard pressed to handle it. People started piles, and several people bought 30-40 items. Several people’s piles grew until they touched, setting of some minor fireworks about which items were in which pile. Kitchen ware and tools were the most popular items. Furniture was so-so, and so was electronics. Art did not sell at all. Not even at $1 or $2 which is less than the value of just the frames. Advice #6 – cut your emotional ties. Your goal is the ruthless elimination of your stuff. By this point, you’ve sorted out what you really want and put it in storage or in a closed room. Everything else must go. There is no point in selling half of your stuff. We cancelled the second day sale. Not enough to sell. Given what we made on the sale, having an estate sale company come – if they even would have – would have left us with almost nothing after their minimums. It was a grueling effort to prep and then hold the sale, but totally worth it. Previous Previous post: Let’s Tow!